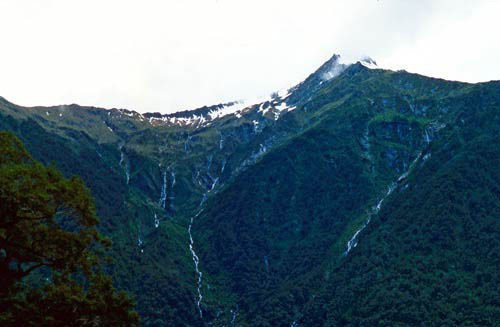 Because of the steep terrain in the South Island, high waterfalls are relatively common. But many are intermittent and only flow down gullies after heavy rain. A good example is this fall near Haast Pass.